On Wednesday, 1 June 2016, Pupkewitz MegaTech announced the official opening of its latest branch and showroom located in Gobabis, Omaheke region. 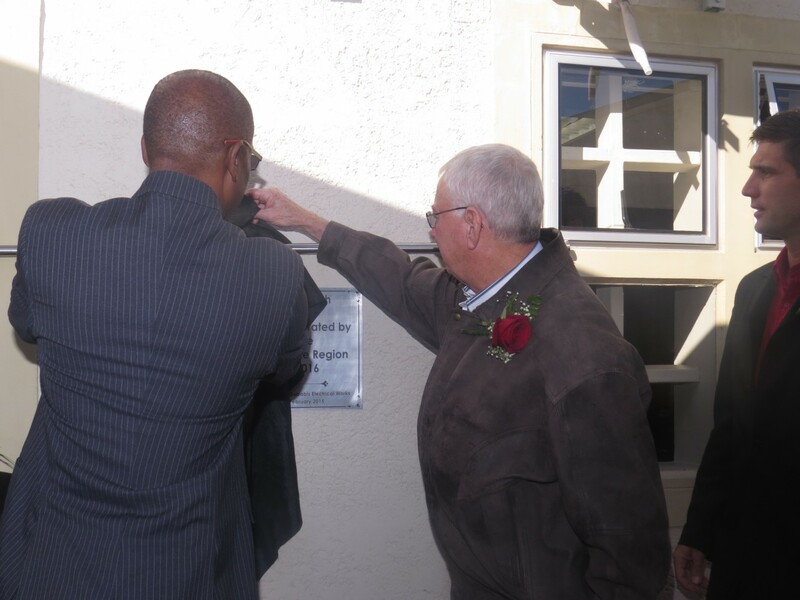 According to Morne Nell, Managing Director of Pupkewitz MegaTech, the opening of the Gobabis branch is a groundbreaking moment. With business interests that spread across various industries, this is the first time the Pupkewitz Group sets foot in the Omaheke region. “As the biggest electrical wholesaler in Namibia, we aim to stimulate growth of the Namibian economy by reaching out to as many as possible clients. Setting up a branch in Gobabis, therefore, was the natural thing to do. Not only as a means to grow the business, but to create a viable platform for current and potential businesses in Gobabis- town and surrounding settlements”. The Governor of the Omaheke region, Honourable Festus Ueitele, reiterated the many prospects provided by the expansion: “… I foresee youth enterprises sprouting up in this region as a result of young men and women leveraging on every opportunity that presents itself at their doorsteps, utilising the products and services provided innovatively and competitively”, he said. The company strives to embrace the latest technology, relevant to the industry at every level of its business operations, resulting to compatible pricing. Moreover, Pupkewitz MegaTech offers credit solution programmes to enable Small and Medium Enterprises (SMEs) to develop capacity and subsequently to partake in medium to large construction projects. It was bestowed the Sam Nujoma Innovative Enterprise Development Awards in 2013, for its unique Business Model. What started as Beimah agencies in 1978 was renamed to Pupkewitz MegaTech in 2003. Located in Windhoek, Oshakati, Walvisbay and now Gobabis, Pupkewitz MegaTech is a leading supplier of a diverse range of electrical, industrial and technological products to a broad spectrum of customers in the electrical, industrial and mining sectors, amongst others.